It’s not all about money. People have an innate desire to grow, learn, and make a real difference in the world. If companies were smart, they’d work to create the type of environment that allows for that continuous development to occur. Dan Pink’s famous TED talk on motivation is one of the most powerful pieces of research on what really motivates employees. I’ll explain the three secrets to motivation based on Dan Pink’s research, and give you tips on how you can implement them into your work culture. <a href=”https://www.officevibe.com/blog/secret-employee-motivation-infographic”><img src=”https://assets.officevibe.com/infographics/infographic-secret-employee-motivation.png” alt=”The 3 Secrets To Improve Employee Motivation (Infographic)” data-no-lazy=”1″ width=”600px” border=”0″ /></a>This infographic was crafted with love by Officevibe, the employee survey software that shows you how to improve <a href=”https://www.officevibe.com/blog/secret-employee-motivation-infographic”>employee motivation</a> so that they’re more productive. Personal growth is the key to employee motivation. 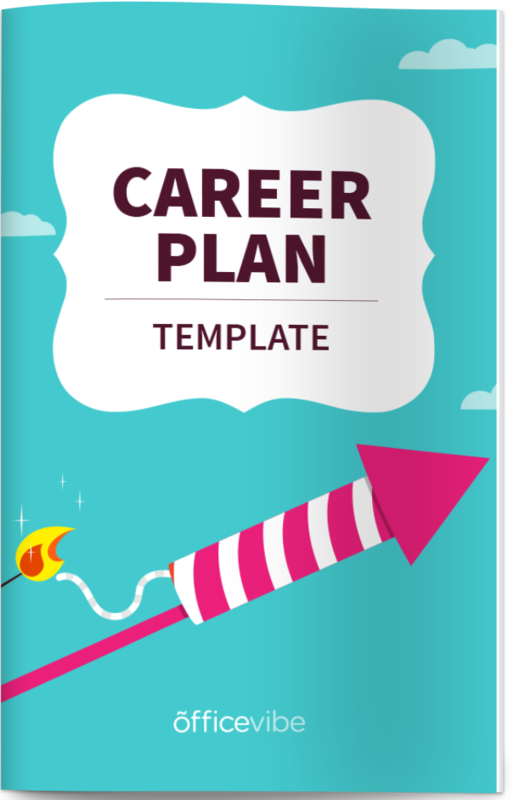 Get this free career planning template to show your employees how they can grow inside your organization. Now let’s learn exactly how you can implement these into your workplace. Based on Dan Pink’s research, there are three things that you need to focus on to have sustainable employee motivation. Things like perks, bonuses, and salary increases might get you an increase in employee motivation, but it will be short term. No one wakes up in the morning excited to come to work because there’s a foosball table in the kitchen. It’s a nice to have, but if it was taken away tomorrow, your employees should still be motivated about what they’re doing. They need to believe that they’re valued and respected. Showing that value and respect is easier said than done, but it is possible. Fear, lack of trust, and lack of communication are the main reasons why so many companies still get this wrong. They have good ideas, they know what to do, and they genuinely have your company’s best interests in mind. Let’s go through each of them in more detail. Employees need autonomy to do good work. They need to shown that respect of you getting out of their way and letting them work on a project from beginning to end. If an employee knows they’re going to be critiqued or that you’ll end up changing the work anyways, there’s no way they can get as excited or motivated about it. Many companies make the mistake of doing what I call “quasi-autonomy”, where they’ll tell an employee they have autonomy, but then give “constructive feedback” midway through the project. Ultimately, this is rooted in fear. Fear that the employee might not do exactly what you expect. But what if what you’re expecting isn’t even the best way to do it? There’s a lot of psychology behind being able to see a project from beginning to end yourself. When I studied a high-performing team, I believe the fact that the team had total ownership was a big reason for their success. Employees want to know you’re there to help them if they need anything, but they don’t need you checking in on them all the time. Trust that they’ll do good work. Make it known that they can choose to work however they please, as long as the work gets done. Micromanaging someone takes all the motivation away, because at that point, you might as well be doing the work yourself. Again, you want to be there just in case, but ideally they shouldn’t come to you at all. Learn how to hold employees accountable without micromanaging them. Set goals with them from the start (like a due date) and then let them run with it. You want to make sure that you’re using your talent in the best possible way. Yes, everyone has to work on things that they don’t enjoy, and that’s fine, but there needs to be some balance where an employee can suggest ideas and then see them through. You want to create a culture of continuous feedback, where you allow employees to share ideas without fear of retribution. Dan Pink explains this perfectly. People have an intrinsic motivation to become better at whatever they do. If I’m a writer, I want to become the best writer possible, whether my boss tells me to or not. This is important for you to understand, because you can help your employees master their skills without them fighting you on it. When people plateau, they get bored. When they get bored, they’ll lose motivation and eventually start looking for work elsewhere. Everyone needs to be stimulated. Empower your employees by investing in them. Pay for courses they could take, send them to conferences if it helps them learn, and even mentor them (or set them up with a mentor) to improve their skills. Give them the resources they need (hint: ask them) to become the best employees they can be. It’s in your best interest to invest in them, the ROI will be worth it. Everyone on your team (including you) should be working towards developing a growth mindset. Employees need to understand that experimentation is the key and that failure is okay. The way to truly master something is by testing ideas you have and learning from them. Help your team establish a process for testing things and work with them to define ways that they’ll learn from these tests. At Officevibe, we don’t sell survey software – we’re changing the world of work. Employees need to feel like they’re part of something bigger so that they can get excited about why they’re coming into work every day. If I believed that the reason I was getting up in the morning was to sell someone a tool to collect feedback, the excitement would fade pretty quickly. The fact that I’m able to say that we’re making people happier at work by giving them a voice is what gets me out of bed every morning. Social responsibility is incredibly important to employees, and one way to make your brand more socially responsible is by allowing employees to volunteer their time to an organization in the community. Keep reminding employees about why your company exists. It’s not to sell survey software, it’s to make work better. Print posters and put them on the wall if you have to, but people should be reminded of this every day. Look for ways that you can go even further with your mission and core values. Ask employees how you can be even more purpose-driven, it will not only increase motivation, but loyalty as well. Arguably the most popular theory on motivation in general is Maslow’s Hierarchy of Needs. The most fundamental need (at the bottom of the pyramid) are physiological things like food, water, housing, etc. While this is true, it has led managers to making one of the biggest mistakes about employee motivation. Since money is required for things like food, water, and housing, if we give employees more money, their needs will be even more satisfied. In one study that Dan Pink talks about in his book Drive, he looks at what happens with rewards and kids drawing.